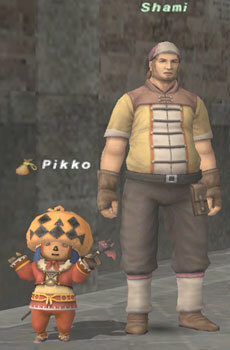 no im not talking about pikko im talking about the npc. he is located in the back of the tunnel opesit of the choco stables in port jeuno. behind the white cloth. All u need to do is trade the beastmen seals, kindrid seals...what ever to him and he will offer a orb. all i know so far is when u trade him 40 beastmen seals then he will offer you a(i believe it was) star orb, clowdy orb, and sky orb. please correct me if im wrong. It's On Like Donky Kong!!! I don't get why she has to be on every picture. Is it about the NPC or Pikko? Is pikko one of the people who runs this site? Now people can stop spamming "WHERE IS THE ORB DOOD WTFOMGLOL! !111"
Maybe the douchebag is right.